Working as a paramedic gives you an opportunity to be directly involved in saving life. Just think for a moment, that a terrible accident happened within your jurisdiction and immediately your ambulance crew was contacted, you got there right on time to resuscitate lives before it became too late. Won’t you feel proud with yourself for giving people the opportunity to live? Of course, there’s a whole lot of fulfilment in working as a paramedic, and the pay isn’t also bad. If you’ve made up your mind to become a paramedic, a good place to start is to find out what is required in terms of assessment, qualifications and interviews for the job. The assessment to become a paramedic starts with completing the application form after finding a paramedic vacancy (refer to our article on how to find a paramedic job vacancy – the article is very insightful and helpful). The application form is relatively easy to complete. However, you must complete it thoughtfully. Ensure that you follow the guideline-notes attached to the form when filling it in. Also, in stating your experiences while completing the application form, don’t forget to highlight occasions where you displayed qualities that are essential in performing a paramedic role in a competent and professional manner. If your application is successful, you will be called up to the evaluation centre for the next phase of assessment. The assessment tests are in different phases. First, there would be written tests and you should concentrate on the verbal reasoning tests, numeracy tests, as well as the test on knowledge of the Highway Code when preparing for the tests. 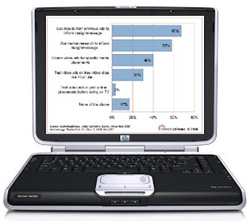 Other assessments include driving tests, occupational health assessments and medical assessment. You would also get satisfactory clearance from the Criminal Records Bureau check. What does it require to be a Paramedic? You must go through the paramedic training course successfully in order to become a paramedic in the UK. You must also pass the different tests organised in the UK for potential paramedics. Some of the qualifications for becoming a paramedic in the UK include being registered with the HPC – Health Professional Council. Clinical training is also necessary. However, 40% of the paramedic study duration in the higher learning institutions (e.g. universities) is purely practical training to become a paramedic. You can also get to the technical entry level by taking up a Care Assistance assignment with the ambulance services. This would qualify you for the paramedic training programmes. Additionally, it is required that a paramedic applicant should be 18 years and over. If you prove very successful all the way through the different stages mentioned above, you are most likely qualified to attend the interview to become a paramedic. In the course of the interview, the panel will be looking out for further experiences that would complement and support your specifications for the role of a paramedic. There is a set of values that every UK based Ambulance Service is looking out for. Therefore, get acquainted with these values prior to the interview. Also, get proof of where you’ve performed a related role in the community – e.g. working with the British Red Cross. Finally, stay optimistic throughout the recruitment process to become a paramedic. 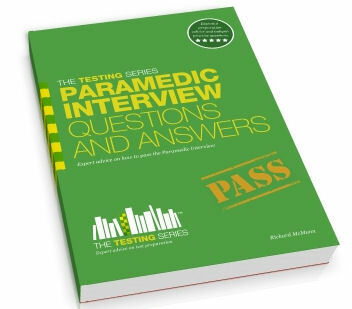 The Paramedic interview questions and answers workbook will provide you with lots of insider tips and advice on how to pass the paramedic interview. It has been created in conjunction with serving paramedic technicians to bring you the very latest information that is guaranteed to help you pass the tough interview. An introduction to the paramedic interview and what is involved. Guidance and tips from the UK’s leading recruitment experts on how to pass the paramedic interview. Advice on how you will be assessed during the interview including the qualities you must demonstrate. Answers to all of the paramedic interview questions to help you prepare. Created in conjunction with serving London Ambulance Service paramedics.